Regardless of the nature your business and the services you provide, you need to protect your financial investment at all costs. Repairing and replacing damaged material due to electrostatic discharge is not an option for you as it causes downtime, reduces productivity and can cost you tens of thousands of dollars (if not more). To prevent ESD (electrostatic discharge), you need to invest in the right equipment and services. 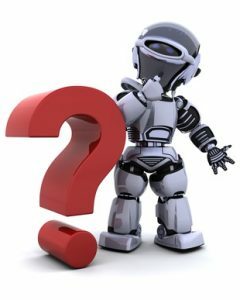 That is why Transforming Technologies provides a host of different services for you to choose from. Whatever you need, you will find it here. The best way to prevent ESD is to know what causes it and understand exactly what it does. While investing in the proper attire and equipment is essential, if you don’t understand electrostatic discharge, you won’t know how to best protect yourself and your company. 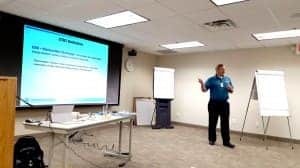 Whether the training is for yourself or for your entire company, by the end of training you’ll know where ESD comes from, how it can harm your electronics, what safety precautions you can take, how to prevent it and much more. So, before you spend any money on merchandise and equipment, educate yourself and your staff on ESD. Just how bad is the ESD in your facility? Even with the help of handheld ESD readers, you may not receive a full scope without a complete audit. Static audit services makes it possible to go through your entire facility from top to bottom. The audit not only goes through the electronic devices, your configuration and how everything is connected, but it looks at brands, materials and even the clothing your staff wears. With this information in hand we are able to identify areas your company needs to improve upon, what the major source of ESD is in your particular building and what you can do about it. By combining a static audit and ESD training, you’ll not only understand ESD better but know how to better correct these issues. Even after a proper static audit and ESD training you still may run into problems along the way. You will need to know how to troubleshoot and problem solve ESD situations that arise. Whether you have suffered through several ESD situations or your readers are picking up electrostatic current in particular rooms, this problem solving service is a must for your entire facility. While you will learn troubleshooting in the ESD training and education, you may still have questions and concerns should your current round of troubleshooting fail. That is why Transforming Technologies provides specific problem solving in order to properly identify the culprit of your ESD and help you remove the problem from your facility. You can contact the company to discuss any of your issues, no matter how large or small the situation is. After all, most static problems are rather unique and different variables are at play here. If you use an ionizer within your facility you will need to have it cleaned and calibrated from time to time. Even with hospital grade air filtration systems, dust can develop within your facility. When dust clings to your ionizer it not only reduces its efficiency but it may lead to the generating of ESD. Due to this, your ionizer must be cleaned and properly balanced to make sure your ionizer is effective. Once cleaned, your ionizer can be monitored in order to verify its performance. You may find it needs to be replaced, or the only issues connected with it came from the dirt stuck to it. 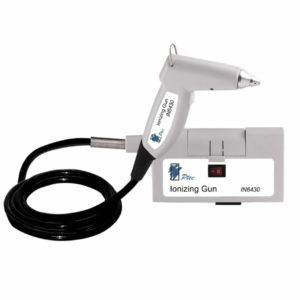 Whatever the issue, ionizer services are offered. The facility review is a comprehensive overview of your entire building. This will include a full static charge audit, but it is much more in-depth. It looks over everything from the room you want to keep ESD free to the rest of the building, how your employees function within the building, their clothing and also your own practices concerning the removal and prevention of ESD. Doing so provides the best possibility of removing ESD, identifying problem areas and even discovering issues you may never have thought of before (such as certain chairs or hand tools causing the development of ESD). With a full facility review, you will have peace of mind, knowing all possible issues and variables have been identified. ESD is a very serious issue your company faces. You need to do whatever you can to avoid an excess of electrostatic current, as it can substantially damage your equipment and set your business back. With an assortment of services at your disposal, your needs will be met. From a full service facility review to ESD training and ionizer performance verification, you can rest assured about ESD and its potential impact on your facility and invested materials.